Once the honeymoon period has passed, staying in love can sometimes be hard work. 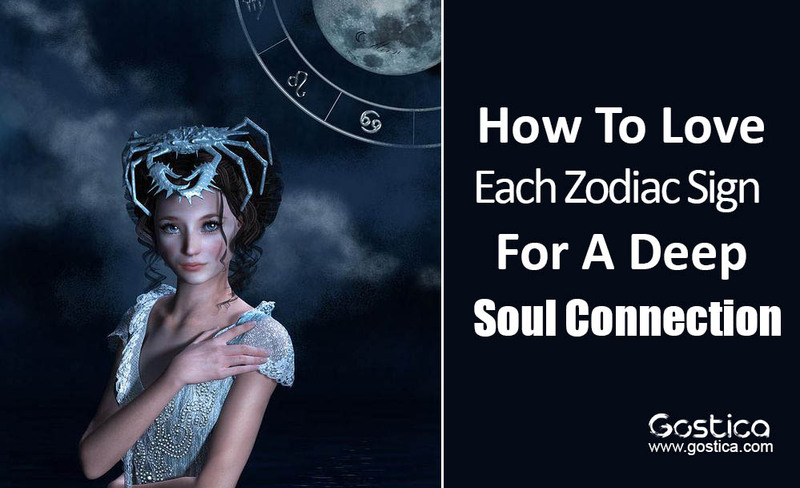 No matter what zodiac sign your lover is, they have their own unique needs in order to feel fulfilled in a relationship. Read on to find out how to love each and every sign the way they need to be loved. Your Aries needs variety and spontaneity in order to thrive. Keep coming up with new ideas for experiences you can share together; don’t slip into a routine. Aries needs to play the hero too, so let him or she save the day now and then. Your Aries has a ferocious temper but try not to take their outbursts too personally. Cuddles and lots of physical affection are the way to your Taurus’ heart. Taurus doesn’t like surprises, create some loving, warming, comforting routines to your daily life together. Make sure your Taurus feels appreciated by always buying the best quality gifts you can afford. Sensuality is key in your love life, so don’t rush things. Your Gemini lover needs to be playful and young at heart, no matter how old he or she is. Indulge the fun side of your partnership and keep the magic alive. Don’t sulk or withdraw from your Gemini during tough times; it’s vital to keep communicating because that’s what he or she does best. Don’t take your Gemini’s flirting to heart. Learning to love your in-laws is crucial if you are to keep your Cancer lover feeling secure. He or she needs an old-fashioned romance, with lots of respect and care. Your Cancer wants to take care of you, so allow yourself to be looked after now and then. Don’t dismiss your Cancer’s fears and worries; they’re very real to your lover. Your Leo wants to be adored – keep lavishing affection throughout your relationship; don’t assume you’ve said it often enough. You can cut through some of the arrogance with some constructive criticism, but don’t wound that fragile ego. Your Leo wants to be proud of you, so allow them to sing your praises too, even if you’re embarrassed. Your Virgo wants to “improve” you – it’s just his or her way. Take the criticism with a smile and remind yourself that they do love the real you. Meanwhile, be warm and kind to your slightly insecure Virgo. Be an intelligent companion, but let your Virgo take care of the details of life so that he or she feels needed and wanted. Your Libra loves to be flattered, but can easily become over-dependent on you. Encourage him or her to have interests and friendships outside your relationship. Recommended: Could You Be Soul Mates? Consult the Elements of the Zodiac! Think sentimental romance in order to show Libra your love, and have patience with their indecisiveness – they’re simply weighing up all of the options. Endlessly. Your Scorpio needs you to embrace his or her huge mood swings. Don’t try to jolly your partner out of them – it’s who they are. Be full of passionate whenever you can, and let your Scorpio indulge in a few bedroom power games too. Push gently against jealous outbursts; it’s important that your Scorpio learns to handle your independence. Be direct with your Sagittarius at all times – Sag doesn’t “do” subtlety and will miss your point otherwise. Your Sagittarius wants you to embrace the outdoors, and adventure. Avoid routines like the plague and don’t try to force your Sag to settle down. Give him or her their freedom and they will stay by your side voluntarily. Your Capricorn works extremely hard and would like to respect you for doing the same. Take seriously your joint commitment to building a life – but teach your Capricorn how to play hard too. Beneath the bossiness, your Capricorn is plagued by doubts. Be the person who can remove those doubts. Your Aquarius works on an intellectual level, so meet him or her there first. Lively debates and friendly arguments are par for the course. Recommended: What Is The Reason People Fall​In Love With You Based On Your Zodiac Sign? Freedom is vital to your Aquarius lover, so don’t try to restrict him or her. Be spontaneous and don’t hold back on emotions – your Aquarius could do with learning that emotions are real. Your Pisces needs you to understand his or her world of dreams and fantasies. Your partner isn’t always present in the real world; deal with it. Tune in to your Pisces’ spirituality and intuitive gentleness, but give him or her every opportunity to lead in the relationship, so that your Pisces doesn’t become overly dependent on you.